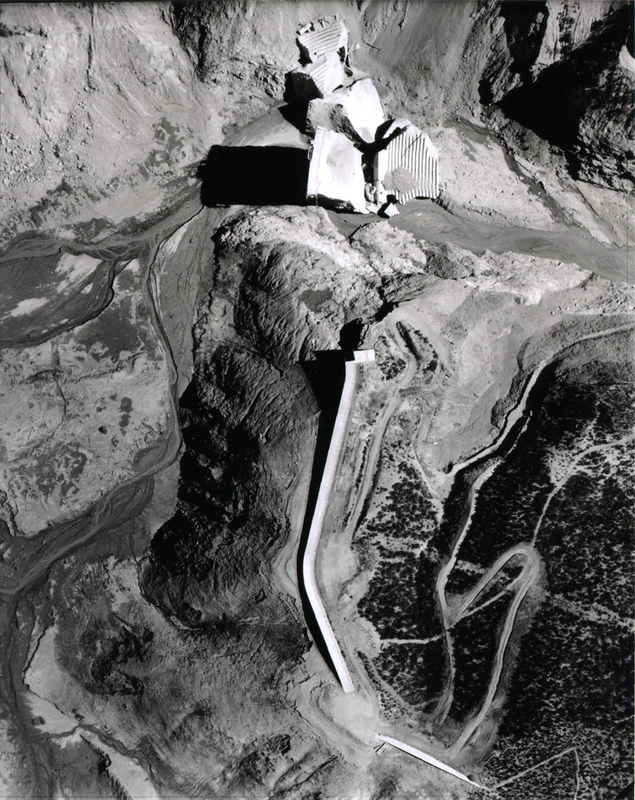 Aerial view of the St. Francis Dam after the disaster of March 12-13, 1928. Seven miles up San Francisquito Canyon Road from today's Copper Hill Drive, construction on the 700-foot-long, 205-foot-high St. Francis Dam started in August 1924. With a 12.5 billion-gallon capacity, the reservoir began to fill with water on March 1, 1926. It was completed two months later. At 11:57:30 p.m. on March 12, 1928, the dam failed, sending a 180-foot-high wall of water crashing down San Francisquito Canyon. An estimated 431 people lay dead by the time the floodwaters reached the Pacific Ocean south of Ventura 5½ hours later. It was the second-worst disaster in California history, after the great San Francisco earthquake and fire of 1906, in terms of lives lost — and America's worst civil engineering failure of the 20th Century.